On January 28, 1963 a fire destroyed the original Post Home located behind what is now Brick Block Auto Parts. 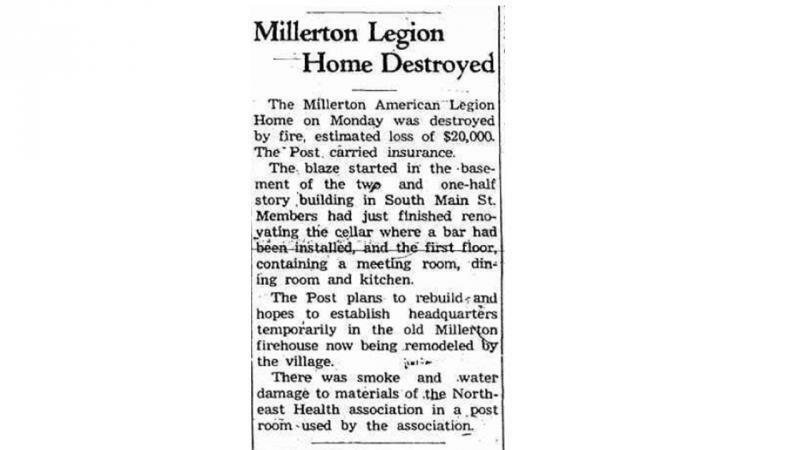 Below is the text from the Pine Plains Register Herald from the January 31, 1963 edition. by fire, estimated loss of $20,000. meeting room, dining room and kitchen.